The sun was still hiding behind the sandstone cliffs which rose, like giant monoliths, on both sides of the road snaking through the canyon. Cottonwood trees, junipers and wildflowers perched along the banks of the Virgin River, which twisted through the gorge. The shuttle bus, the first of the day, made its way slowly through the tranquil scene, letting out bleary-eyed hikers at various trailheads. The stops had intimidating-sounding names including Court of the Patriarchs and Temple of Sinawava. The shuttle soon pulled up at The Grotto and almost everyone on the bus, including my entire tour group, got off to tackle one of the National Park System’s most famous hikes. As the bus doors shut, however, I waved at my companions and looked at my map again – my stop, Weeping Rock, was next. 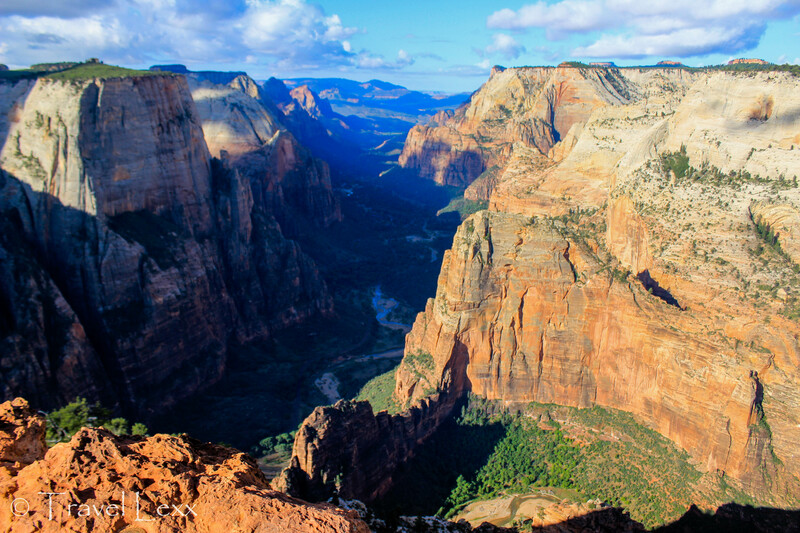 A few minutes later, I stepped out into the cool morning air and took a deep breath – I was about to hike to one of the most spectacular spots in Utah’s Zion National Park – Observation Point. The bus disappeared from view and an incredible stillness enveloped the canyon again. Only one other couple made the journey alongside me and were already heading up the trail. I took a few moments to go over my gear and listen to the silence. I looked up at the imposing formations around me, pressed Start on my tracking app and walked over the hiker’s bridge and onto the trail. There was to be no easing into the hike. The climb started pretty much immediately, with the zigzagging path hugging the walls of the Canyon, heading higher and higher. The path was well maintained and steps were built into the steeper sections. I walked an entrance to another trail that was closed to maintenance due to a rockfall. I was hoping that I would avoid any such incidents today. 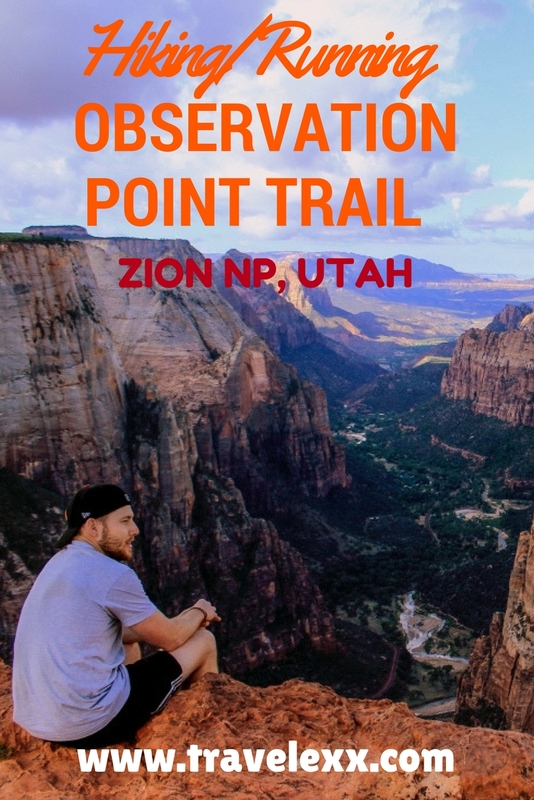 A day earlier, when I enquired about the possible hikes in the Park at the Zion Canyon Visitor Centre, I was told that the Observation Point Trail is a challenging 8 mile/12.9km hike with the biggest elevation change of 2148 feet/655 metres. That sounded exactly like what I was after, except for a small issue – time. As our group was due to leave Zion in the early afternoon, I had to make sure that I could get up, back down and then over to the meeting point in time to meet the rest and not hold anyone up. 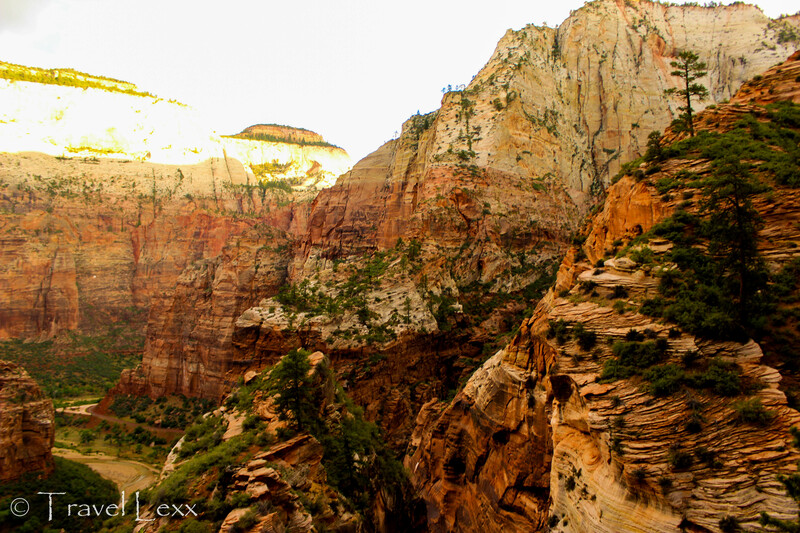 The world-famous Angels Landing hike, which my group was attempting today, wasn’t as long or had as much of an elevation change. In the end, I convinced our tour leader that I was fit enough to complete the hike much faster than the 6 hours average time advertised. So time was always in the back of my mind as I headed up the path which was still climbing steadily. I passed the older couple that was on the bus with me after the first few switchbacks and they wished me luck as I pushed on. 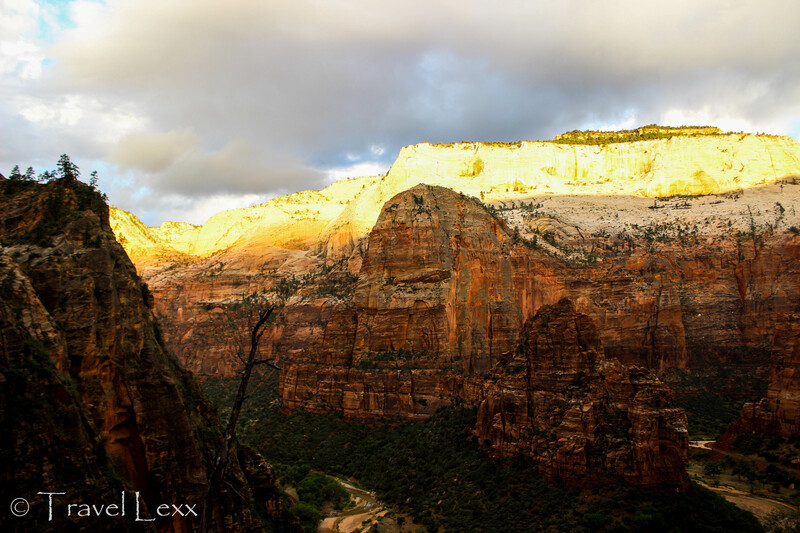 The sun was casting cliff-shaped shadows on the opposite side of the canyon as the majestic Angels Landing loomed into view across the valley. 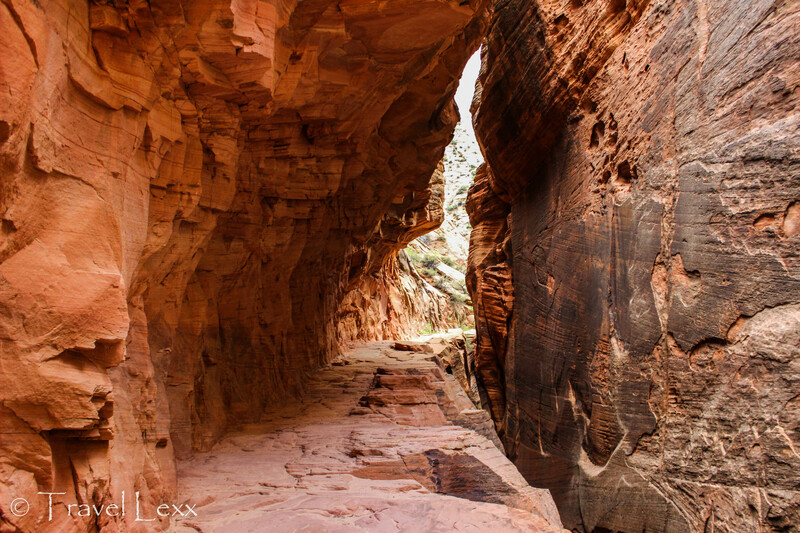 Shrubs and pines clung to the cliffs as the trail finally levelled out and weaved in between canyon walls. The air felt much cooler here and I glimpsed crevices and a dry riverbed which I walked along, large stones lining the path. The route continued upwards through Echo Canyon which connects to the main Zion Canyon and, at times, the trail got so narrow that I could touch rock on both sides. I could see where the stream carved its way into the rock, the smooth surface in contrast to the jagged edges of the sandstone above. I crossed a bridge and clambered higher and over the ridge where I was treated to stunning views of Echo. I stopped to admire the views and to take on water before continuing on. The switchbacks soon returned as I zigzagged my way up the steep path. I had to reapply my sunscreen as the sun was now shining down directly on me – making the climb much more difficult. 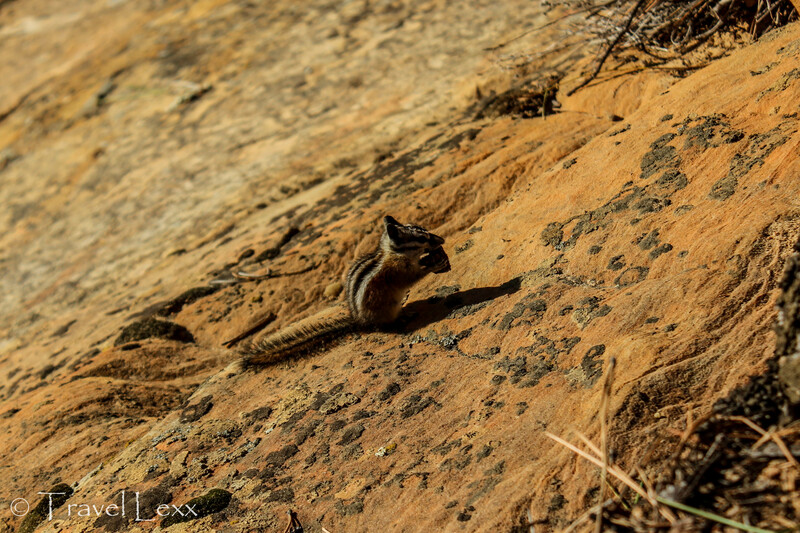 I was making good progress, however, and had plenty of time to look around and spot wildlife. 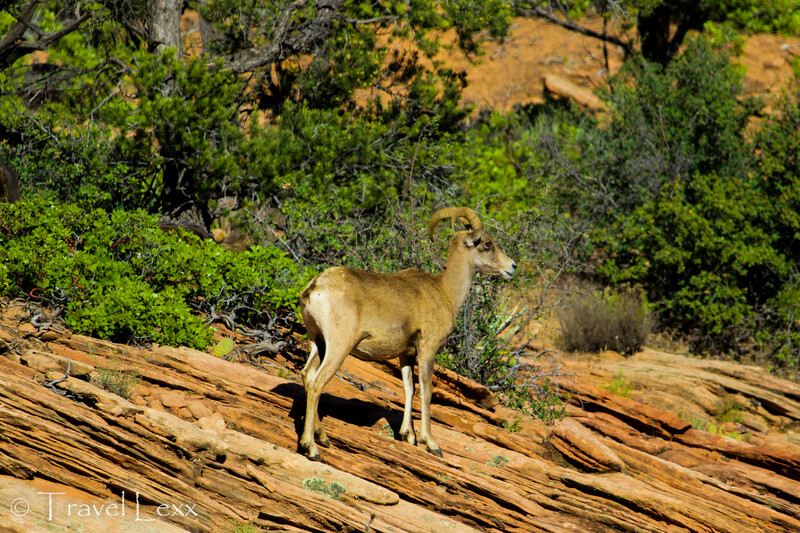 Chipmunks hurried across the path and I glimpsed agile bighorn sheep navigating the steep slopes below. Peregrine falcons, the fastest animals in the world, circled above looking for prey. Eventually, I found myself standing at the rim of the cliff without a single switchback in sight! In fact, the trail evened out and I picked up speed as I stepped over logs and large rocks as the path started looping around. 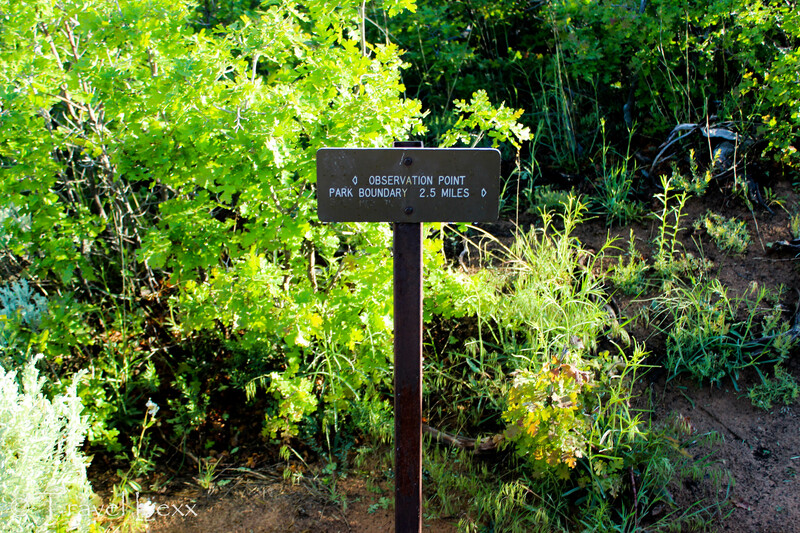 I saw the sign for Observation Point and continued on through the trees and shrubs growing in abundance on the plateau. A few minutes later, the foliage stopped abruptly and I found myself standing at the lookout, stunned by the view in front of me. The canyon stretched out into the distance, giant walls as far as the eye could see. The Virgin river cut its way through the valley below and the road that I was on just a couple of hours ago looked but a thin line from up here. The colours of the sandstone were mesmerising and I spent a few minutes taking in this incredible scene before I remembered to take my camera out. 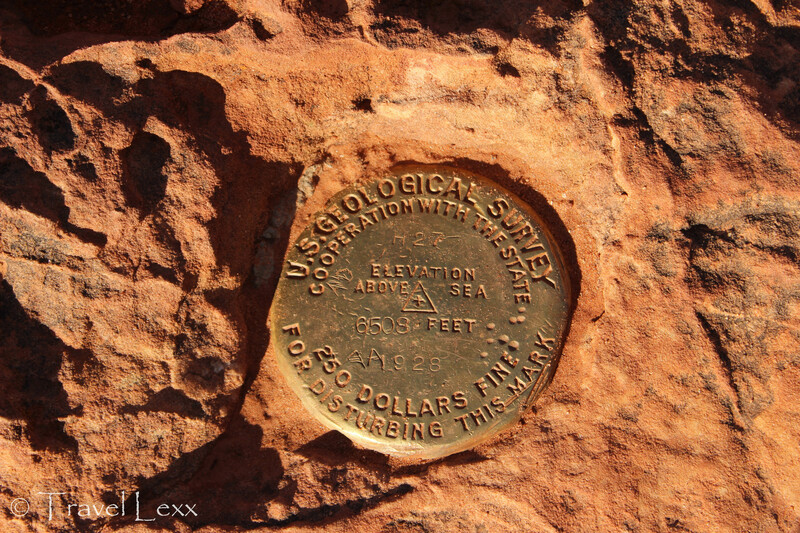 I sat on the warm stone next to the US Geological Survey marker (which confirmed I was 1984m/6508ft above sea level) and enjoyed breakfast of peanut butter and jelly sandwiches and bananas. 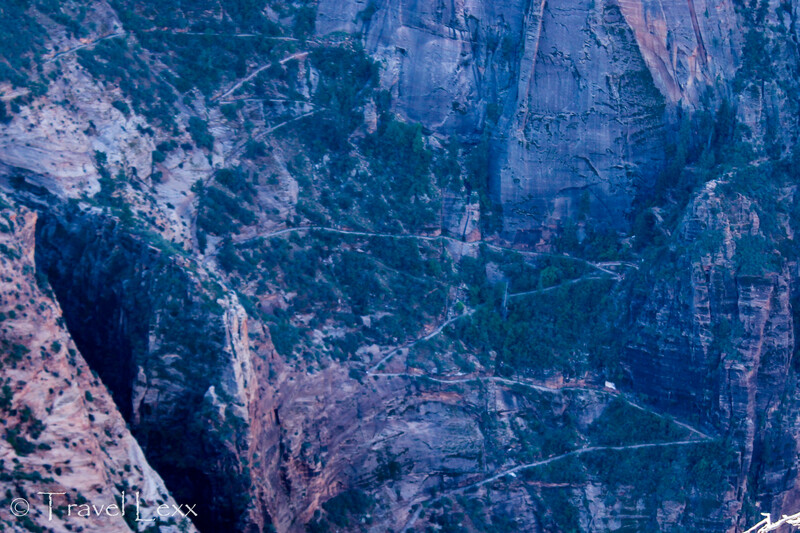 I looked down at Angels Landing, trying to spot my group and felt like I was on top of the world. I squinted to see a tiny moving speck – the shuttle bus making its way to Weeping Rock – and smiled, reminding myself I was down there not so long ago. A few hikers were making their way up the first set of switchbacks but I wasn’t quite ready to make my way back down. I was also very happy with my time as I managed the climb in a little under 1 hr 30 mins. I wanted to have some photos of me at the top and wondered whether there was anybody behind me. I looked back a few times on my way up but didn’t see anyone. About 20 minutes later a couple came through the trees and we took some pictures of each other before I left them to have their own special moment at the top. As I started heading back, I had an (admittedly crazy) idea. I was really enjoying my hiking shoes on this trip which were actually marketed as trail running shoes. Everything happened quickly – I decided that it would be fun to RUN all the way down to the bottom and put the shoes (and myself) to the test. About 30 seconds later, I was vaulting over logs and trying to keep my footing. The switchbacks came next and I tried to keep lower to the ground as I hurtled down the path, slowing down on the corners to avoid flying off the cliff. Some of the drops were pretty scary but I felt pretty confident as I made my way down at pace. I began meeting other hikers, blurting out a quick “Morning” every time I passed someone. I always find heading down harder than going up as it puts more stress on my knees, but I didn’t feel any discomfort as I jumped over rocks and looked for the safest path. I was really enjoying myself and even forgot that I had a daypack on my back, the contents of which were rattling around furiously. Soon, I was heading down the last set of switchbacks and past throngs of hikers just setting off on the trail. I stopped the clock as I sprinted out over the bridge to the car park, clocking in at 37 minutes from top to bottom. I was covered in sweat and out of breath but absolutely delighted with the hike and the run. I was still smiling as I climbed onto the shuttle bus. It was only 9:30 am and I was over two hours early for our group’s meet up. I looked out the window and caught a last glimpse of the mighty Observation Point, basking in the late morning sun. It’s been a great start to the day – I conquered one of the toughest hikes in Zion National Park and had an absolute blast doing it. 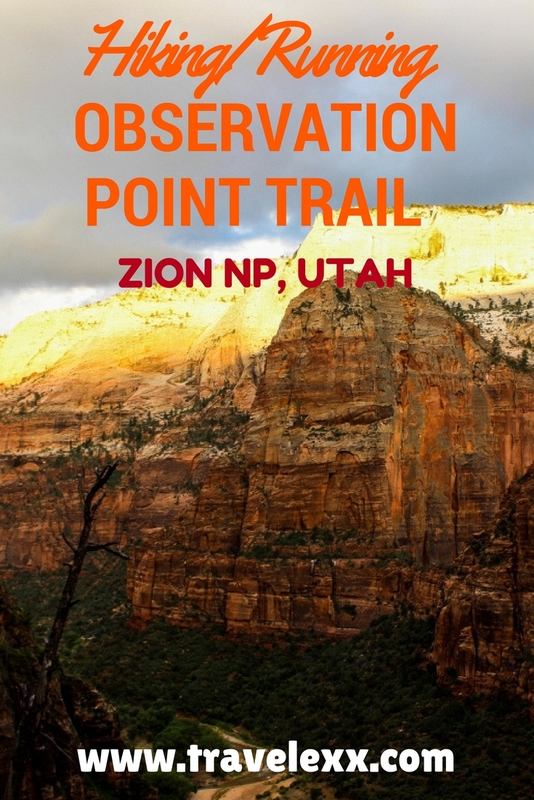 What: Observation Point Trail, 8 mile round-trip hike to one of the most stunning viewpoints in Zion. How: Take the free shuttle bus to Weeping Rock and the trail starts near the car park. 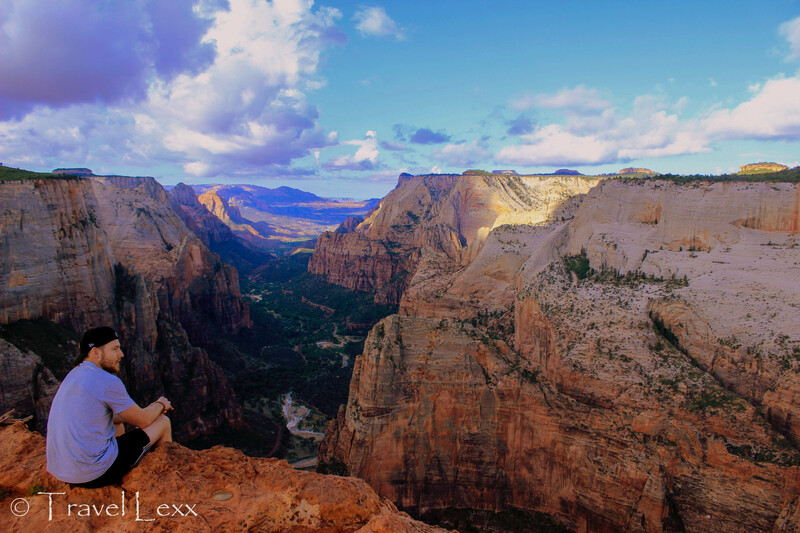 This entry was posted in USA and tagged hiking, observation point, travel, usa, wanderlust, zion national park. 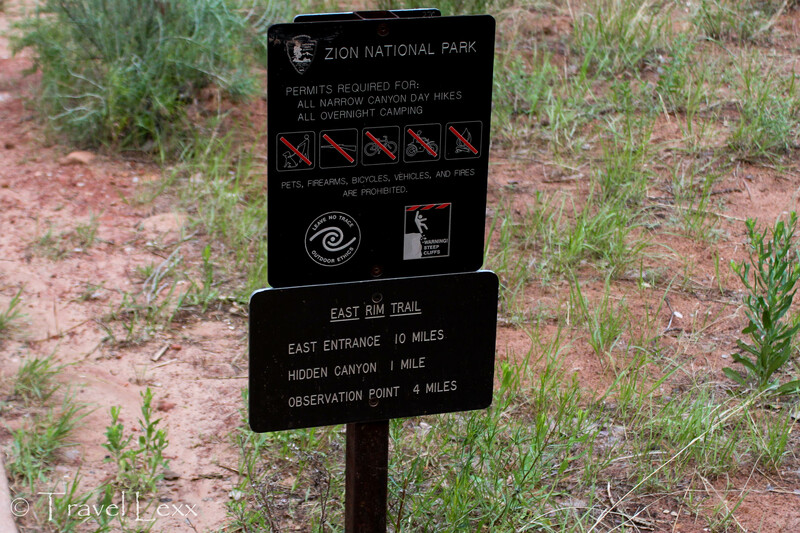 Zion is so great for us hikers. Your pictures are beautiful. Thanks for sharing! Thanks Lisa. I was really blown away by Zion. It was stunning! Would love to go back and do some of the longer hikes too! Great stuff, although running down sounds exhausting and a little perilous. 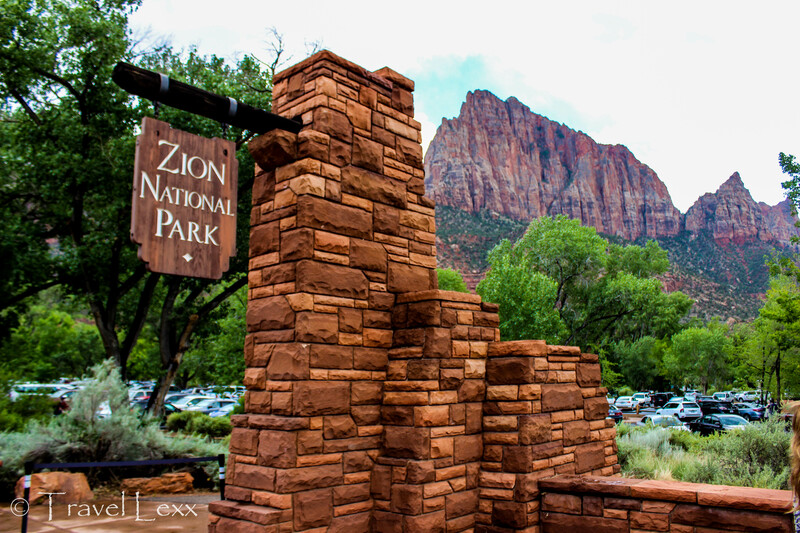 My parents went to Zion a few years back in winter and it looked just as stunning as your photos. One of the spots I’m keen to see when I make it to the US. Thanks David. Yes, I did look back and think “I’m not sure why I thought that was a good idea” but I had a great time. Its one of my favourite spots in the USA! Oh wow. That’s a beautiful trail. I’d hike that. And I’m not a hiker! Clifford, it is absolutely stunning! Not the easiest but, as a result, not as crowded! Gorgeous photos! 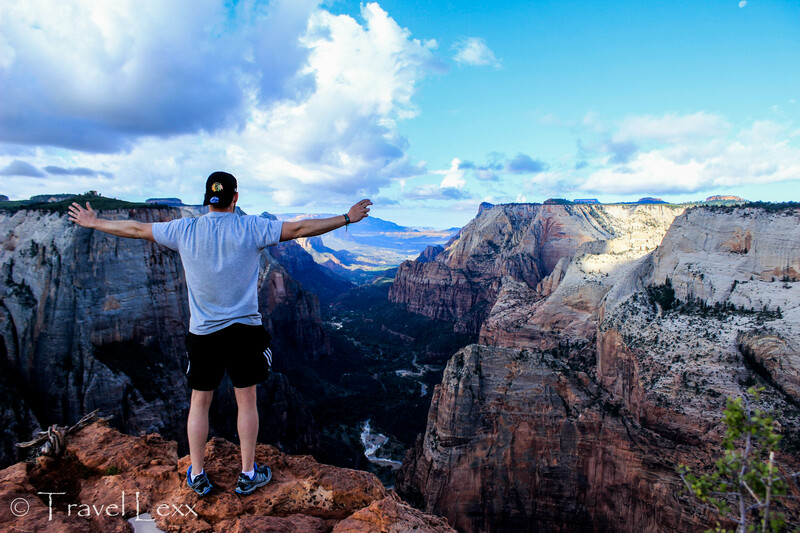 Zion is still on my bucket list. I usually wimp out and do the shorter hikes in a national park. I need to step it up because I know that some of the most beautiful landscape is on the longer hikes. Thanks Connie! There are so many beautiful shorter hikers around the US National Park System but this one was definitely worth the super early start and very sore feet! Definitely recommend it! Reading this brought back lots of memories. I just did Angels Landing but managed to do hikes in Bryce Canyon, Capitol Reef as well as Grand Canyon. Beautiful part of the world! So jealous! I would love to go to Bryce! You’re right, it’s just an incredible area. So amazing, Julie – you live in such a great area for hiking and enjoying nature. I’m very jealous! Thanks Steph – absolutely loved Zion so highly recommend it! Garth, you guys would have a field day with the photos, for sure! And yeah, running was definitely different but I really enjoyed it! Thanks! It was an incredible experience and one of my favourite places in the States! 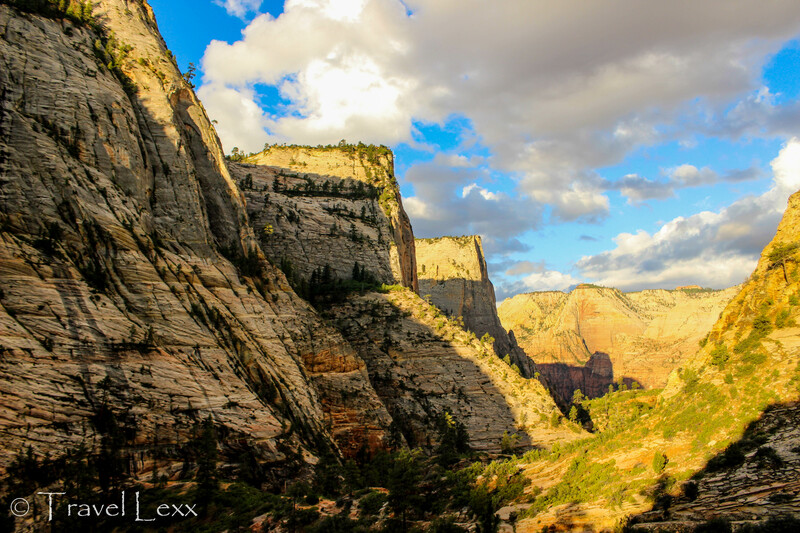 Zion National Park looks stunning from a photographers point of view, too. It must be quite demanding to hike the Observation Point Trail with the extreme temperatures and the challenges of the path. It wasn’t too bad as I hiked up to Observation Point early in the morning but it can get pretty tough if it’s later in the day! The area is amazing for photos, you are right! Thanks Angie – you are making me blush! Travel for me is pushing myself further than I would at home and I love it when a challenge presents itself! Thanks for the kind words! Wow, the views make up for the few discomforts along the way. I don’t know about running down but hey, each to their own LOL! It seemed like a great idea at the time! Not only have I been convinced that you are an amazing athlete and I would love to go on hikes with you, I have also been reassured that you are an incredible writer! You should become a mountaineer and write stories from the mountains. I would buy every single one of them ha! I would have probably died going up there, begging for you to wait for me. You did it incredibly fast! And yes, I love the photos too! You’ve only just been convinced? Thank you though – guess I will have to do more posts (and hikes) like this!